For over a decade BalletX has been committed to creating world premiere ballets and fostering uniquely dynamic and expressive artists. 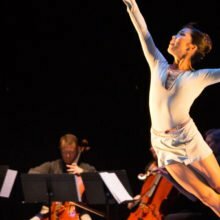 The company has commissioned over 68 world premiere ballets, collaborated with over 200 artists from around the world, and opened the Center for World Premiere Choreography, establishing Philadelphia as a destination for bold, new contemporary dance. Annual gifts of all sizes impact every aspect of our work and bolster what is most important and vital about BalletX: our commitment to artists, our emphasis on new work, and our engagement with the greater Philadelphia community. Those who make a gift of $1 or more receive benefits! The Friends Circle is an active and engaged part of our community whose members enjoy a deeper connection to BalletX through special benefits and events. Donors who make a gift of $500 or more are invited to join BalletX’s Production Circle. Production Circle members provide integral support for the company’s goal to build a stronger community through dance. The Production Circle receives enhanced benefits and behind-the-scenes access through special events. Visit our Galas & Events page for upcoming Production Circle events. Donors at the $5,000 level and above join The Premiere Circle, which plays a key role in supporting BalletX’s world-class artistic programming. Members receive access to intimate events and exclusive attention that maintains a close personal connection to the company’s creative process. 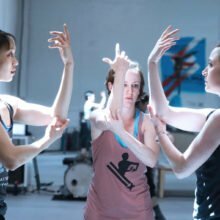 Director’s Circle members are BalletX’s closest group of supporters, and make gifts of $25,000 or more to help to guarantee the future of innovative contemporary ballet programming in Philadelphia. Members enjoy a unique experience with the company, tailored to their lifestyle and designed to facilitate a close connection with BalletX. Private dinner for six at your home or venue of choice with Artistic and Executive Director Christine Cox and BalletX dancers. By Check: Make payable to ‘BalletX’ and mail to BalletX, 1923 Washington Ave., Philadelphia, PA 19146. Recurring Pledges: Pace the generosity of your gift! Donate online to make a monthly pledge. Employer Matches: Asking your employer to match your donations is an easy way to increase your impact on BalletX. The Founder’s Society is a growing community that honors BalletX’s most loyal supporters: donors whose lifetime cumulative giving to BalletX totals $100,000 or more. 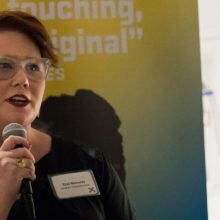 Our Society supporters are our company’s backbone, and their generosity allows us to make bold risks with our work. Founder’s Society members give our artists the freedom for creative experimentation at BalletX, and thereby have fundamental and immediate impact on the work that we create. 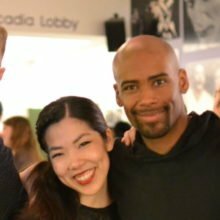 To show our gratitude, Society members gain unprecedented access to our creative process in a unique relationship with BalletX. To learn more about joining the Founder’s Society, or to begin your multi-year pledge, please contact Development Associate for Donor Relations James Ihde. "Why do we love and support BalletX? BalletX is a gift to Philadelphia. 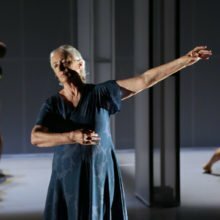 Not only because of the highly talented dancers, or the gifted, innovative choreographers, or even the focused and generous leadership of Christine Cox. Everything they do - from Open Rehearsals to the Young Xers Club to performances that reflect contemporary life struggles, to the new performance space - engages and reflects our community. 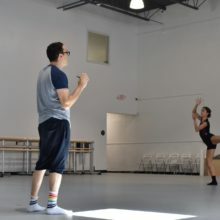 It's their soulful, passionate spirit, reflective of what makes Philadelphia unique, that also makes BalletX so addictive to audiences around the country, and to us!"